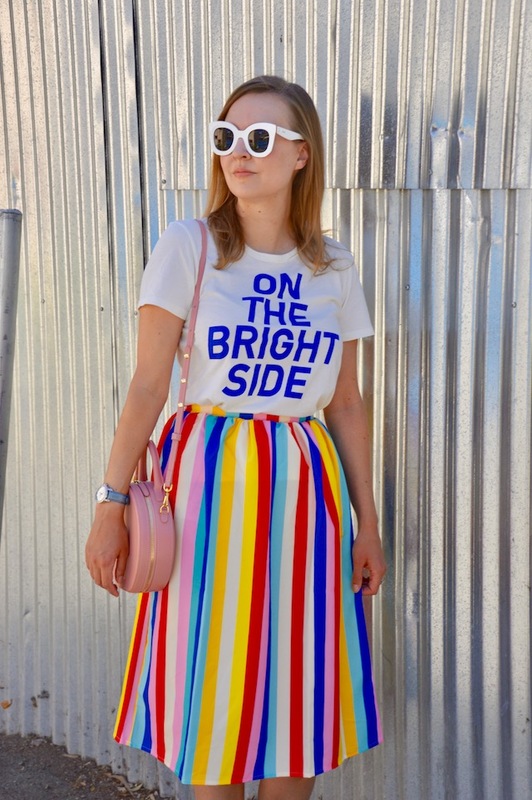 In my last post, I featured all of my favorite rainbow striped items for fall, so it's only fitting to continue the rainbow stripe theme into this week too! 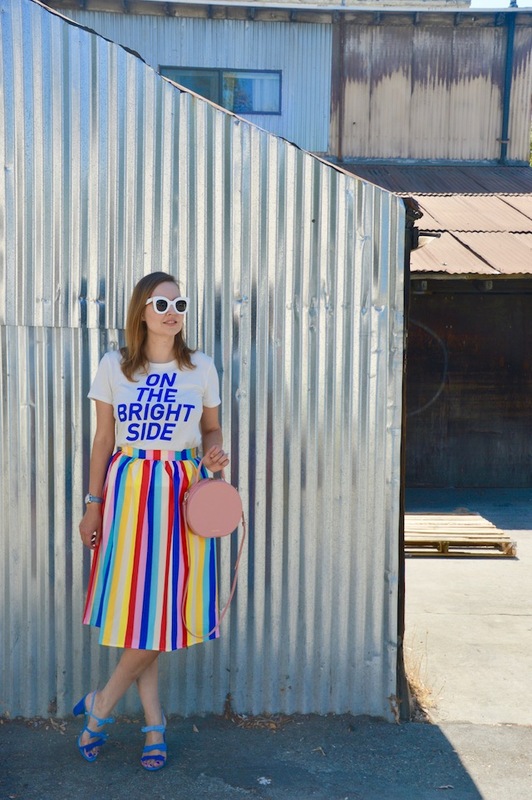 I absolutely adore this colorful striped skirt from SheIn! Not only is it super fun and colorful but it's also $20, which is a great deal for all this color! 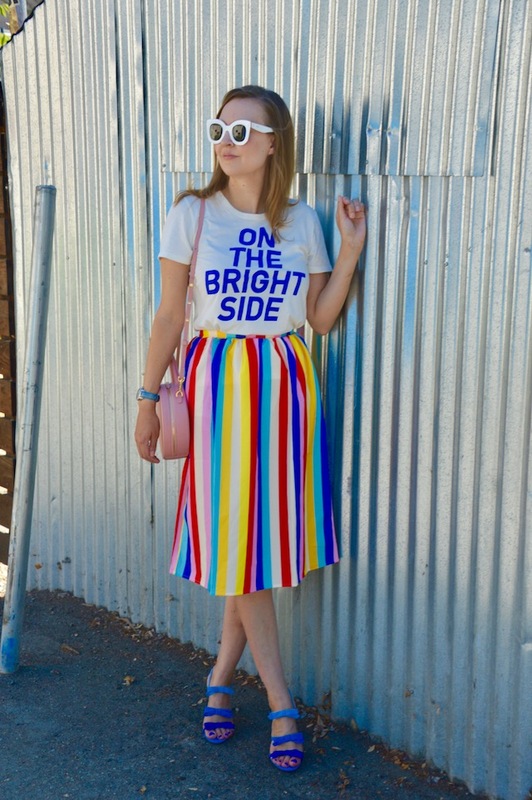 Also, it's the perfect complement to my "On the Bright Side" tee (what else would one wear with such a colorful skirt?) and my new blue suede shoes from J. Crew! Yes, I have these shoes in pink but they were a super deal at under $50 a few weeks ago, so I had to get them in another color. I don't think they were quite the blue suede shoes Elvis was singing about but they are super cute! Since there are so many colors in this skirt, it was, as always, a tough choice choosing a bag because the options are endless! Ultimately, I decided on my pink Mansur Gavriel bag, which potentially could be the bag that I am currently getting the most wear out of. 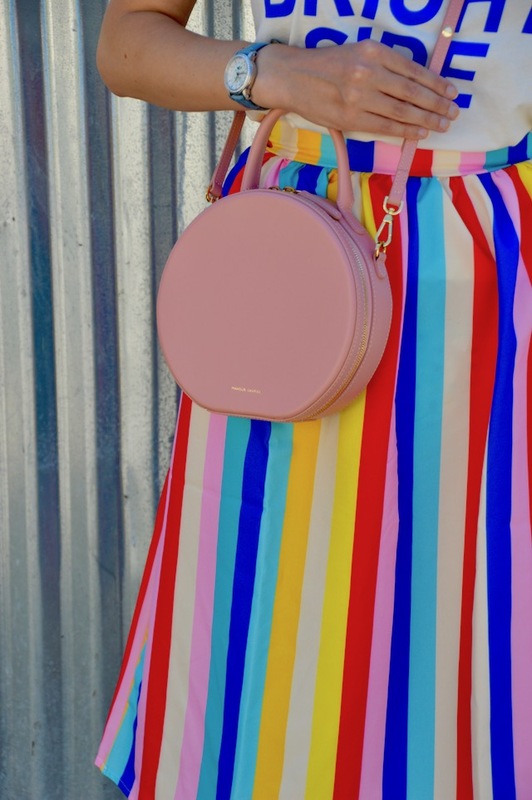 Below, I am linking not only to this bag but also to some other pink circle bags at a variety of price points because I sincerely feel that everyone should have one in their life! 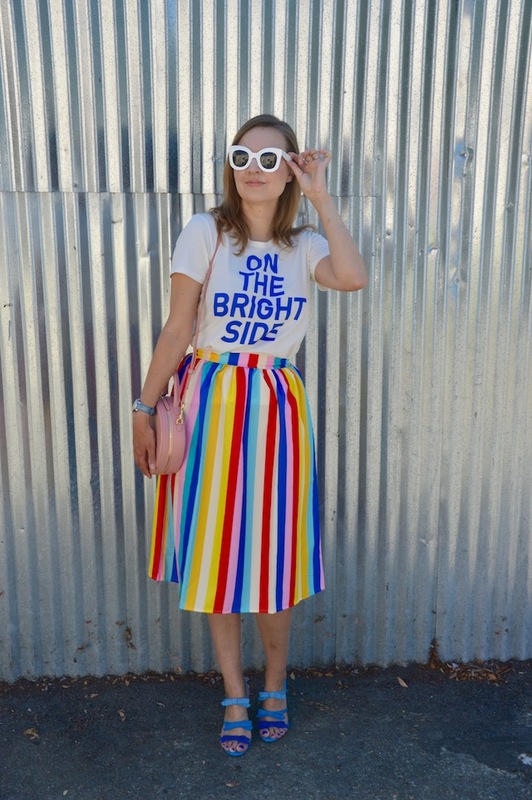 Cool tee, great striped skirt and gorgeous sandals! I am attracted to this outfit. It's very colorful and vibrant! 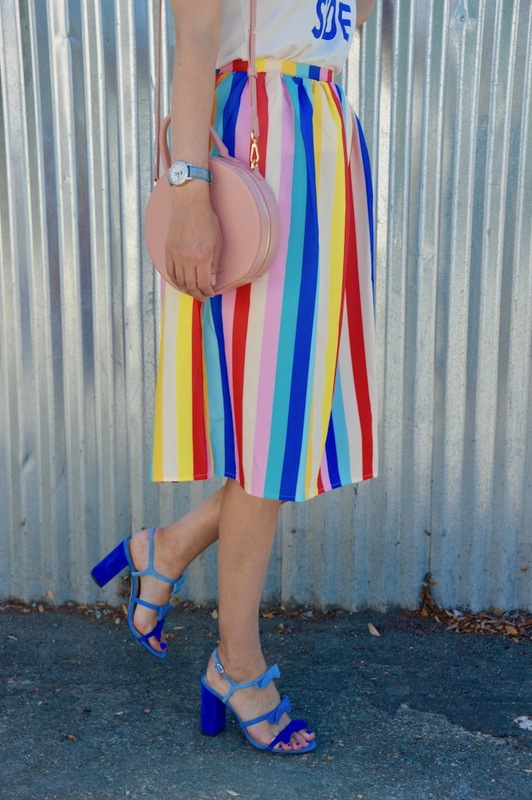 That rainbow skirt just makes me so happy and the straps on your blue suede shoes are just amazing! Please do join the #chicandstylish #linkup that's live today. Your skirt is so much fun. I love the bright colors and how you managed to find a metallic background! That skirt is amazing and I just love the way you styled it. So wish I felt more confident with brights!